Mobile software to set up and manage Ninja Competitions. In 2009, American Ninja Warrior broadcast its first season on national television. Based on a popular Japanese television series, the show highlights competitors racing through a complex obstacle course to achieve the “total Victory” title and win a large cash prize. Now in its 10th season, American Ninja Warrior has produced tens of thousands of dedicated Ninja athletes of all ages. These “Ninjas” train regularly at special Ninja Gyms and compete in leagues and contests springing up all across the USA. With the growing number of Ninja contests, managing the events became a real challenge. Most organizers tracked contestants’ runs through the obstacle courses using a stopwatch and a clipboard--human error regularly caused problems. Recording results at the contests required several people and left spectators in the dark about individual athlete performance and contest rankings. Although there had been a few attempts to use computers to help manage Ninja competitions, no clear solution had emerged. The more progressive owners of Ninja Gyms used spreadsheets on a laptop, but even this approach did not work very well. A custom software solution was desperately needed to support both contestants and spectators at local, regional, and national levels. As a fan of the sport, RoleModel Software founder and CEO Ken Auer saw an opportunity to make a positive difference in the passionate Ninja community. In December 2017, he wrote up his ideas about a new software system and shared it with Ninja Gym owners for feedback. 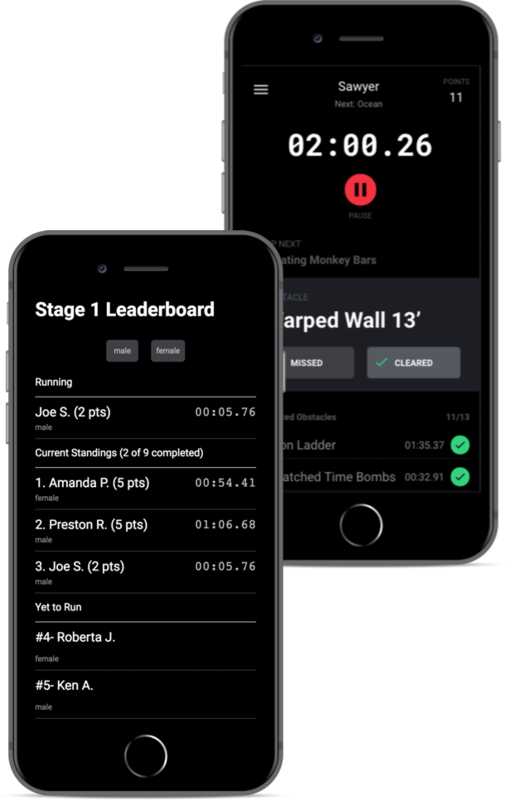 Ninja Gym owners loved the idea of mobile-enabled software to help manage their Ninja competitions and give fans the ability to see a real-time leaderboard on their mobile device. In January 2018, RoleModel started building the new software. A functional prototype was developed in just three weeks and was immediately used at live competitions. The name “NinjaMaster” was adopted as the name for the new software. Using ongoing feedback from users, features were added to support large, multi-stage competitions and to better track contestant performance. At the two-month mark, the software was released as a cloud-based Software as a Service (SaaS). On Memorial Day weekend 2018, NinjaMaster software was used at the Ultimate Backyard Warrior (UBW) Ninja competition—the largest event of its kind in the USA. Later that summer, the Athlete Warrior Games league chose NinjaMaster software to manage all of its league-sponsored events. As more users adopted the software and gave feedback, RoleModel added new features such as custom scoring rules and rolling local contest results up to national league standings. In fall 2018, the Ultimate Ninja Athlete Association (UNAA), the largest Ninja league in the world, noticed NinjaMaster’s rapid development and adopted it as the league’s official software. To help the UNAA achieve its goals, RoleModel added support for the UNAA’s innovative virtual contests where contestants could video their performance in a remote location while still being a part of a large contest. As the number of users continued to grow, contestant registrations emerged as another challenge. Gyms were using third-party registration systems and then importing contestant data into NinjaMaster, but errors were common. To solve the problem, RoleModel decided to add full-featured registration to NinjaMaster. Contestants will be able to register online, pay entry fees, and select from available contests. Organizers will only need to use NinjaMaster to define the contest obstacles and the contest will be ready to run. RoleModel’s NinjaMaster software was born from an idea to meet the needs of a fast-growing market. As the number of Ninjas has increased, the needs of the market have changed and matured. Keeping users consistently at the center, RoleModel has continually developed advanced software features, positively changing an entire industry.